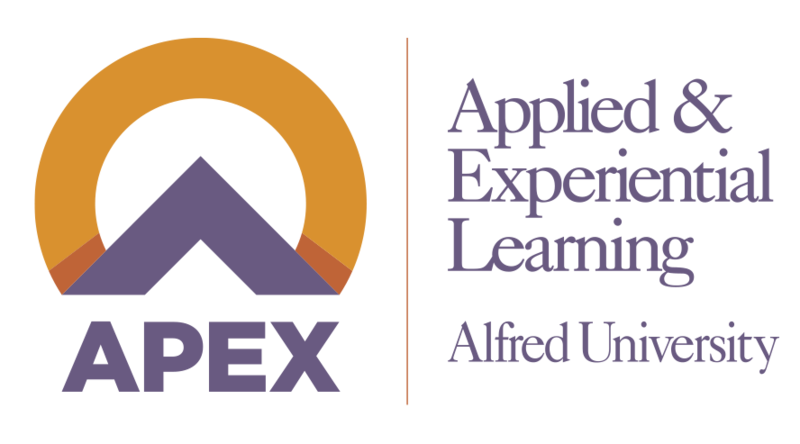 APEX is Alfred University’s new applied and experiential learning initiative. During our first two pilot years, we will provide 200 juniors and seniors with a $1000 award for one experience. After the pilot program, the award is for $2000, for all juniors or seniors, who apply with a qualifying experience. Help all Alfred University students take advantage of transformational opportunities outside the classroom. Enhance students’ career decision-making, increase their opportunities after graduation, and inspire them to find their passions in life. With APEX, students can feel better about saying “yes” to unpaid opportunities. The award can be used toward transportation, housing, food, professional clothing, or equipment and supplies. Site supervisors are expected to oversee students’ work and ensure both the quality of the learning experience and the work produced. The applied learning activity should have hands-on, real-world context. If you do not have funding available to pay student interns, the APEX program allows you to create an impactful unpaid experience for which an AU student could apply for an APEX award. For example, an art alumnus could design an unpaid apprenticeship and post it with the CDC as an APEX experience. Students would then know they need to apply for APEX funding if they want that experience. Encourage the student that you hire to apply for an APEX award. Students will go through an application and approval process to ensure that the experience qualifies. If employers already provide internships or research opportunities, then the student must choose whether or not they want to apply for an APEX award to go toward the experience. Connect with us for more information or to discuss how companies, employers, and alumni can support APEX.